Franmil Federico Reyes...believes he could be a model if he was not playing professional baseball...enjoys playing dominoes... originally signed by Padres scouts Felix Feliz, Martin Jose and Randy Smith. Split the season between El Paso (AAA) and SD, making 71 starts for the Padres in RF and becoming the franchise's first 23-and-under player to log an OPS over .800 (min. 250 plate appearances) since Gary Sheffield in 1992...Began the season with ELP and his 14 HR led all of baseball (majors and minors) at the time of his first big league call-up on 5/14...Earned Pacific Coast League Player of the Week honors for 4/30-5/6, slashing .607/.645/1.571 with three doubles, eight home runs, 14 RBI, 13 runs and three walks over the seven-game span...Collected eight consecutive multi-hit efforts for the Chihuahuas from 5/1-8 (.667 avg, 20-for-30)...Made his ML debut on 5/14 vs. COL and recorded his first ML hit the next day on 5/15 vs. COL, a single off Chris Rusin...Hit his first ML HR on 5/21 at WSH, a two-run HR off Gio Gonzalez...Homered in a career-high three consecutive games from 5/28-30…homered in back-to-back games four more times throughout the season (6/4-5 at ATL, 8/5 at CHC and 8/7 at MIL, 8/25-26 at LAD and 8/30-31 vs. COL)... Optioned to ELP on 6/21 and hit safely in 16 of his 22 games (.288/.406/.413) from 6/21-8/2 before being recalled by SD on 7/10...Made two starts and went 2-for-12 (.167) at the dish in SD's 13 games between 7/11-28, before being optioned to ELP on 7/29...Recalled by SD for the remainder of the season on 8/4…homered in three of the club's next four games from 8/5-8 (.600/.625/1.333)...Started in RF for 45 of the club's 49 games from 8/5 through the end of the season, slashing .318/.385/.548 with six doubles, 10 HR, 17 walks and 22 runs scored...Hit his first-career walk-off HR in the 13th inning on 8/30 vs. COL…it was SD's fourth walk-off win of the season and their first of two walk-off HR in 2018 (also: Francisco Mejia, 9/16 vs. TEX)...Recorded his first-career multi-HR game on 9/3 at ARI, going 2-for-3 with four RBI in SD's 6-2 victory...Hit safely in a team-high 12 consecutive games from 9/7-21, slashing .405/.479/.500 over the stretch…it was the longest streak by a Padre since Yangervis Solarte's 14-game streak in 2016 (9/6-29)...Among all NL rookies with at least 250 plate appearances, he ranked third in SLG (.498) and OPS (.838) and fourth in BA (.280) and HR (16)...Slashed .349/.419/.602 vs. lefties and .247/.302/.449 vs. righties...Hit .299 (41-for-137) in his 45 road games and .258 (32-for-124) in 42 home games...Hit .312 (24-for-77) in one-run games and was 3-for-4 (.750) in extra innings...In SD wins, he hit .368 (43-for-117), while hitting .208 (30-for-144) in losses...Took advantage of first pitches and being ahead in the count, hitting .400 (12-for-30) in 0-0 counts, .286 (4-for-14) in 1-0 counts, .375 (3-for-8) in 2-0 counts, .462 (6-for-13) in 2-1 counts, 1-for-1 in 3-0 counts and .333 (2-for-6) in 3-1 counts…also hit .409 (9-for-22) in 0-1 counts, .438 (7-for-16) in 1-1 counts and .303 (10-for-33) in full counts... Hit .192 (29-for-151) with six of his 16 HR coming with two strikes against him..Nominated by the Padres for the Hank Aaron Award, given annually to the top offensive performer in each league...Following the season, played in 13 games for Leones del Escogido of the Dominican Winter League, slashing .444/.510/.689 with three HR. Led the Padres minor league system with 25 home runs and 102 RBI, spending the entire season with San Antonio (AA)...Produced a .258/.322/.464 slash line in 135 games played with the Missions...set a career high in runs scored (79), games played, home runs, RBI, walks (48) and total bases (235)...Led the club in runs, doubles (27), home runs, RBI and slugging percentage and tied with teammate Luis Urias for most hits on the club (131)...His 235 total bases led the Texas League and his 135 games played tied for the most in the league...Had four multi-home run games in 2017, the most he's ever had in a single season...his 53 extra-base hits also set a career high...Stole two bases in a game for the first time of his career on 6/10 vs. Corpus Christi...Collected a career-high seven RBI on 7/31 vs. Corpus Christi...Made his fourth career postseason stint, going 4-for-18 (.222) with two doubles, one home run and four RBI, all against Midland...Participated in the Arizona Fall League, where he went 5-for-30 (.167) with a home run and four RBI in eight games played...sustained a broken hamate bone in his left wrist and underwent surgery. Spent the entire season in Lake Elsinore (A), hitting .278 (137-for-493) in 130 games played...Led the Storm in doubles (32) and home runs (16) and finished the season second on the club in hits (137)...Earned MiLB.com California League Player of the Month honors for his performance in the month of June...slashed .307/.360/.584 in 25 games, logging 11 doubles, one triple, five home runs, 27 RBI, 15 runs scored and eight walks...Awarded Player of the Week honors on 6/26. In his second season with Fort Wayne (A), hit .255 (116-for-455) with 25 doubles, seven triples, eight home runs, 62 RBI, 52 runs scored and 10 stolen bases...Was awarded Player of the Week honors on 9/7...Had his second career five-hit game on 9/7 vs. Bowling Green, tying his five-hit performance on 7/17/12 vs. DSL Reds...His .989 fielding percentage in 2015 set a career high in a season. Played the full season with Fort Wayne, accruing a career-high 508 at-bats in 128 games played...His 126 hits were the second-most on the team. Split the season between the AZL Padres (R) and Eugene (A), appearing in a combined 57 games and batting . 292 (61-for-209) with 13 doubles, two triples, four home runs and 34 RBI. In his first professional season, played in 67 games for the DSL Padres (R), hitting .267 (65-for-243). November 26, 2018 Leones del Escogido placed OF Franmil Reyes on the reserve list. October 30, 2018 OF Franmil Reyes assigned to Leones del Escogido. August 4, 2018 San Diego Padres recalled RF Franmil Reyes from El Paso Chihuahuas. July 29, 2018 San Diego Padres optioned RF Franmil Reyes to El Paso Chihuahuas. July 10, 2018 San Diego Padres recalled Franmil Reyes from El Paso Chihuahuas. June 21, 2018 San Diego Padres optioned RF Franmil Reyes to El Paso Chihuahuas. May 14, 2018 San Diego Padres selected the contract of Franmil Reyes from El Paso Chihuahuas. 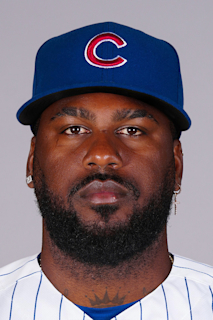 April 1, 2018 RF Franmil Reyes assigned to El Paso Chihuahuas from San Antonio Missions. January 18, 2018 San Diego Padres invited non-roster RF Franmil Reyes to spring training. April 4, 2017 RF Franmil Reyes assigned to San Antonio Missions from Lake Elsinore Storm. March 10, 2017 RF Franmil Reyes assigned to San Diego Padres. April 5, 2016 RF Franmil Reyes assigned to Lake Elsinore Storm from Fort Wayne TinCaps. March 24, 2016 OF Franmil Reyes assigned to San Diego Padres. March 17, 2015 RF Franmil Reyes assigned to San Diego Padres. December 17, 2014 OF Franmil Reyes assigned to Leones del Escogido. March 31, 2014 RF Franmil Reyes assigned to Fort Wayne TinCaps from AZL Padres. March 2, 2014 RF Franmil Reyes assigned to San Diego Padres. June 27, 2013 RF Franmil Reyes assigned to AZL Padres from Eugene Emeralds. June 12, 2013 Franmil Reyes assigned to Eugene Emeralds from AZL Padres. April 4, 2013 Franmil Reyes assigned to AZL Padres from DSL Padres. June 2, 2012 Franmil Reyes assigned to DSL Padres. November 1, 2011 San Diego Padres signed free agent OF Franmil Reyes to a minor league contract.